Taylor Moving and Storage does more cross-border moves than any mover in Southern Ontario. 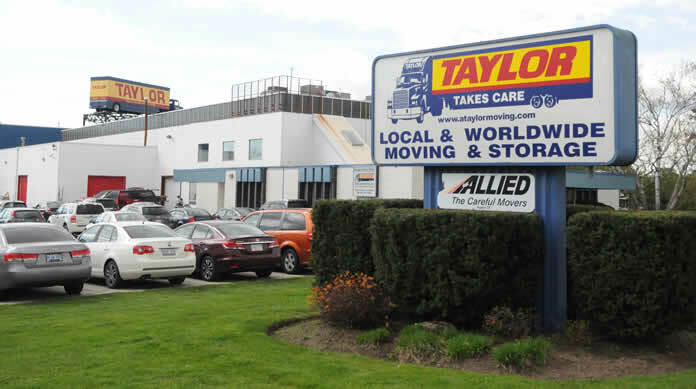 In fact, no other company has as many moving trucks dedicated to cross border moving as Taylor Moving and Storage. A successful cross border move starts with professional consultants. Taylor assigns a move coordinator to you move who is an expert in the cross border process. As your single point of contact, our coordinators will set up all dates and ensure services like packing, crating, auto haulers and guaranteed transit times are in place on your behalf. Taylor Move Coordinators are also experts in the customs process and will guide you through the process from start to finish, acquiring all the documents and forms to make the clearing of customs a smooth and easy process. Taylor Moving is the only mover in Ontario that holds their USA Department of Transportation (DOT) licenses directly. This allows us to service your move using our own trucks and crews (no subcontracting to others) resulting in a consistently high level of quality with greatly reduced transit times. So if you’re looking for a company that will truly take care of you every step of way, call us today, because Taylor Takes Care. Speed Clear is a program offered only by Taylor; it simplifies your move to Canada and means that you don't need to be physically present for your goods to clear customs! Knowing what you can and cannot take with you when you move from the USA to Canada, or vice versa. How customs works for household goods going from the Canada to the USA. How customs works for household goods going from the USA to Canada. How to customs clear your car/truck/motorcycle when moving from Canada to the USA. How to customs clear your car/truck/motorcycle when moving from the USA to Canada. The last piece in your moving journey, we aim to have your new house complete with the empty boxes taken away,feeling like you are indeed now home.